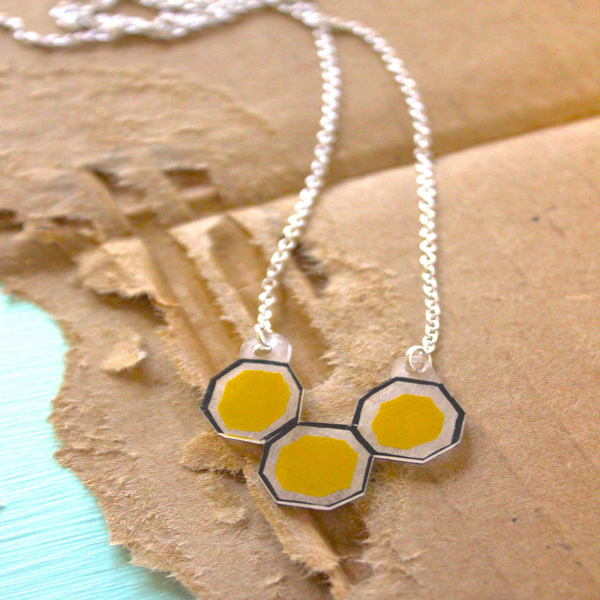 Project Description: Geometric jewelry is super-hot right now. But you don’t need to spend a lot of money to stay up on current trends. 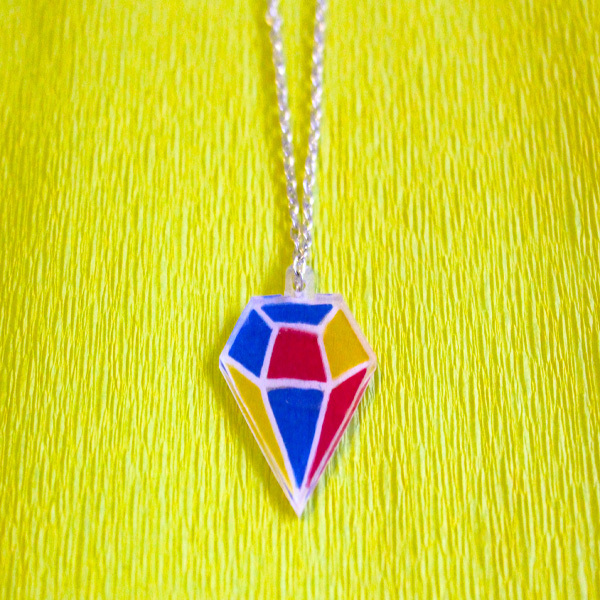 It’s easy to make your own geometric jewelry, using Grafix Shrink Film and Sakura Pentouch® markers. I’m using Grafix’s new Sanded Shrink Film for this project. This is a clear film that has been pre-sanded, so ink adheres very well to it. I’m using Sakura’s colored Pentouch® paint markers to draw my designs. You’ll need to shake the pen with the nib pointing down, and then depress the nib while it’s pointing up. Get the ink flow started on a piece of scrap paper before moving onto the shrink film. I bought these necklace chains on clearance for a couple of dollars each. 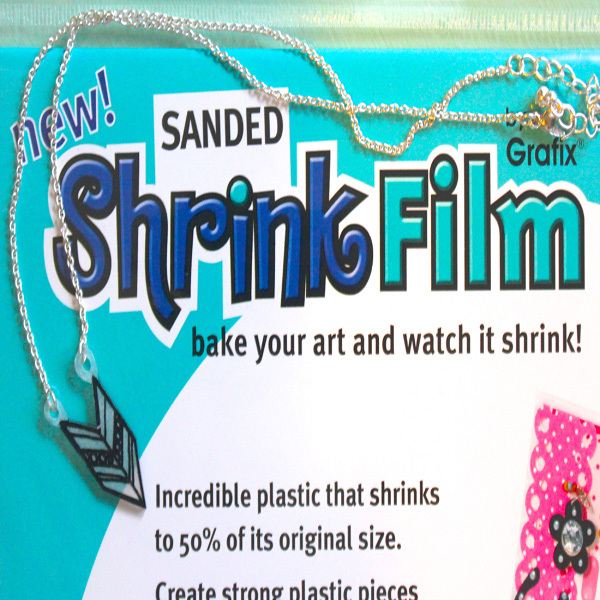 When making your designs on shrink film, you’ll want to draw them about twice as big as you want the finished piece to be, as it will shrink in the oven. You can draw anything at all, but today I’m choosing to make colorful geometric shapes. Consider cubes, triangles, hexagons, or crystals. I really like to use Pentouch® markers for this, because the ink fills in smoothly like paint, whereas regular markers can leave streaks when you color. You can make quite a few out of one sheet, but leave about a ½ inch of space at the top of each design so that you’ll be able to punch holes for hanging. Once you’re done drawing, you can cut out your designs. Use a regular single hole punch to make a hole for hanging. Depending on the style of necklace you’re using, you may need to make two holes. Cut around the punched holes, leaving a border of about ¼ inch. Line a cookie sheet with a piece of parchment paper or cardboard. Lay the shrink film pieces on the cardboard, with at least an inch of space between them. Cover with a piece of parchment paper or Vellum. 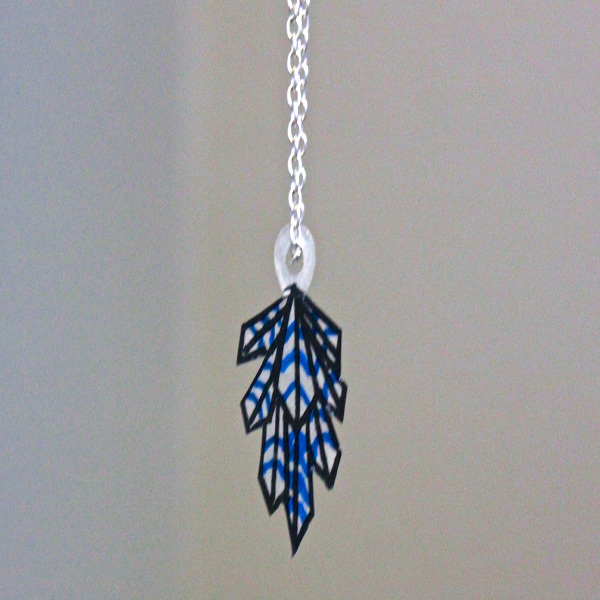 You can slide these directly on a necklace, or attach to a necklace or fish hook earrings with jump rings. It’s quick and easy to change out the shrink film pendants to match my outfit.